Mackerel 75%, fish broth 24%, rice 1%. Whitefish 45%, clams 14%, cuttlefish 9%, shrimps 7%, fish broth 24%, rice 1%. Mackerel 45%, white fish 30%, fish broth 24%, rice 1%. Salmon 70%, shaked carrot 5%, fish broth 24%, rice 1%. Salmon 37.5%, chicken 37.5%, fish broth 24%, rice 1%. Salmon 38%, pumpkin 12%, cooking water 47%, rice 3%. Salmon 75%, fish broth 24%, rice 1%. Raw proteins 19%, raw fibres 1%, raw fats 1%, raw ash 2%, moisture 78%. 750 kcal/kg. Crude protein 15%, crude fibres 0.1%, crude oils and fats 0.5%, crude ash 2%, moisture 82%. 567 kcal/kg. Crude protein 19%, crude fibres 0.1%, crude oils and fats 1%, crude ash 1%, moisture 78%. 750 kcal/kg. Moisture 81%, raw protein 15%, raw fat: 2.5%, raw ash 3%, raw fibre 1%, calories Kcal/kg: 737. Crude protein 18%, crude fibres 0.1%, crude oils and fats 2%, crude ash 2%, moisture 77%. 800 kcal/kg. Raw protein 10%, raw fibre 0.1%, raw oils and fats 0.2%, raw ash 1.5%, moisture 87%, calories 332 kcal/kg. Crude protein 17%, crude fibres 0.1%, crude oils and fats 2%, crude ash 2%, moisture 78%. 765 kcal/kg. 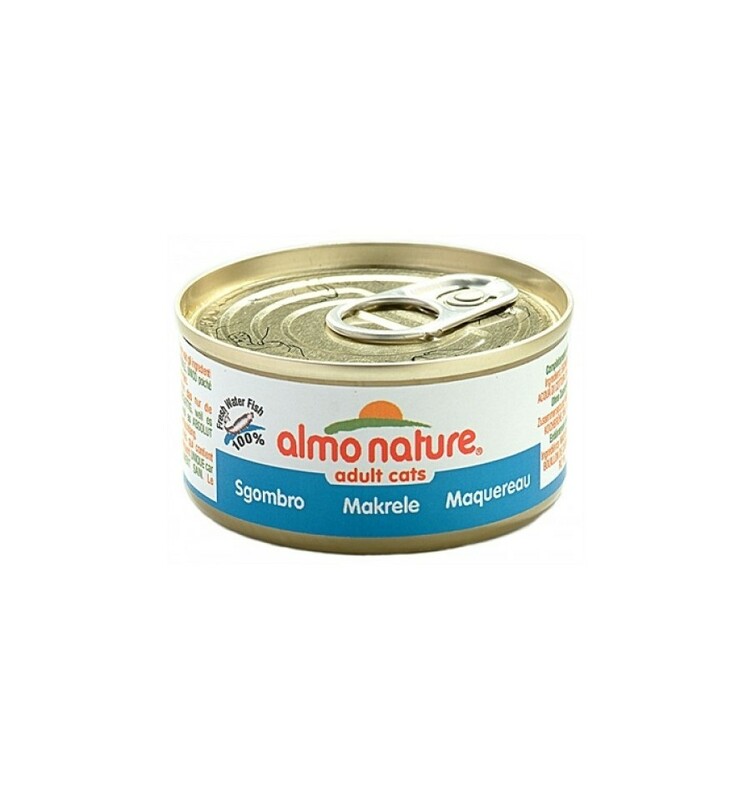 There are currently no questions for Almo Nature Tradition Classic Adult Fish Cat Food - be the first to ask one!